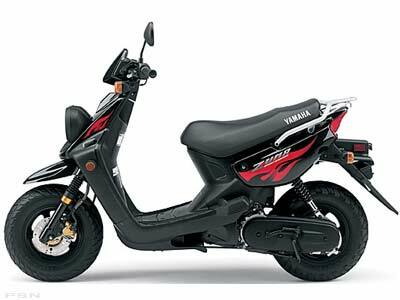 Stolen from the 1016 Lofts parking deck on Howell Mill Rd. The right rear blinker is broken from a tumble. The theft took place after 11 pm on the 29th. It's a black T5 with front crash bars and front & back carriers. This red Allstate had rear crashbars and a second seat. It was in good shape and the engine always started. The problem was that the engine had too much oil and would choke up after starting. 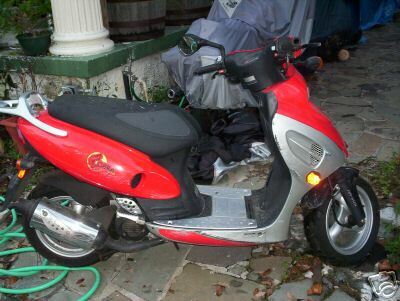 It was being kept in a backyard on G Street NE when the scooter was stolen. 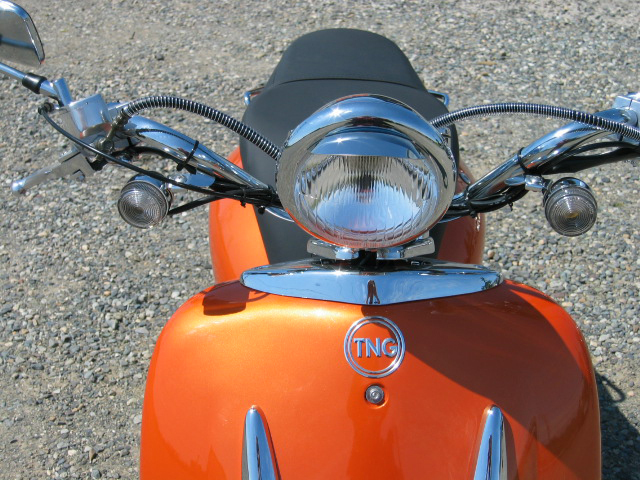 There were no rearview mirrors attached, though one was on the florboard (I'd attach it while riding). 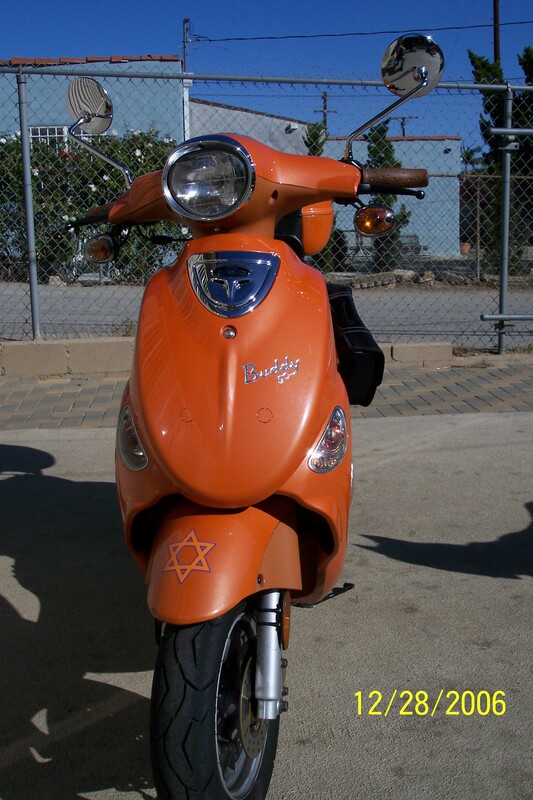 The plates were Wisconsin plates, but were actually dead tags associated with another scooter. 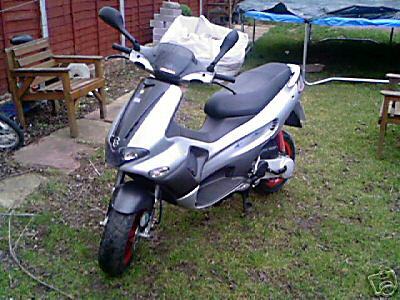 I was saving up for insurance to get the scooter registered when it was stolen. Yes, this was 5 years ago, but I'm still holding out hope. Photos available upon request. 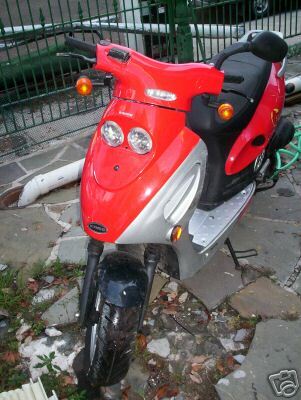 I do believe this scooter is still in the DC area. 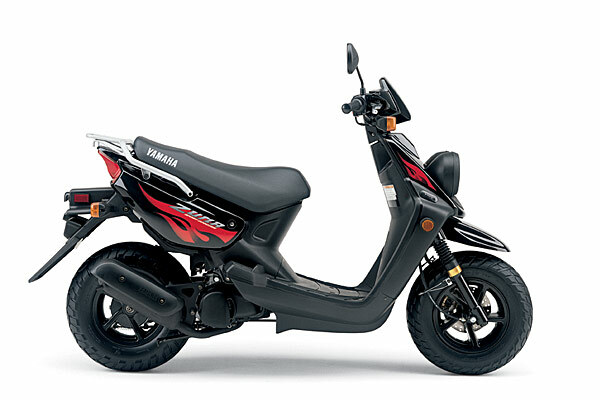 A thief stole my scooter from our front yard- The steering wheel was locked and it did not have a key in it. 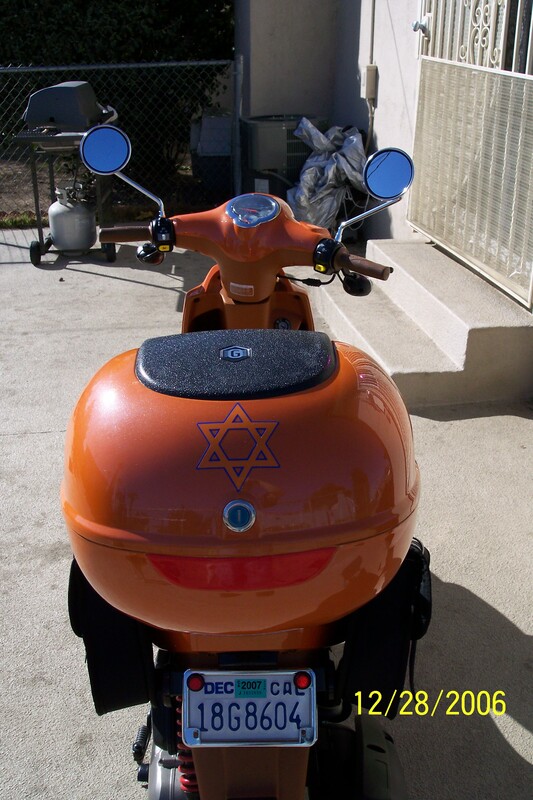 Scooter had a black basket on back. Not shown on pictures. 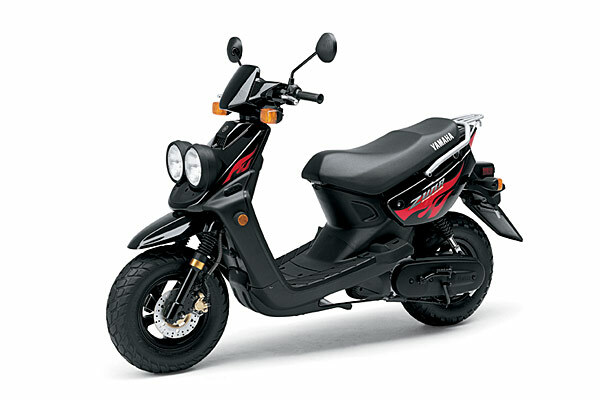 dented front fender, everything stock on the scooter (no racks, chrome, exhaust, etc.). It was such a good buy and I just got it about a month ago! I got it used from a friendly older couple and it is a 2003 with only about 550 miles on it! Anyway, I'm a poor UCLA student and it was my only transporation around the area and hope that someone has any information it. I reported it to the UCPD already but there isn't much they can do. 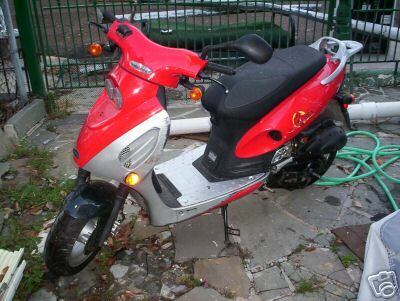 I last saw it in my apartment garage around midnight and when I woke up at 830am to ride it to work, it was gone. Im really upset that anyone could do this. Please help! Slight damage on the right side. Part of hand break broken off. Please let me know if anyone has seen it. Locked to window bars in alley by apartment lock cut. Happened during the day. Stolen from my parking lot between 2/8/07 and 2/11/07. Please contact me if found. Thank you!! HAHAHA..... I STOLEN ALL UR STUFF HAHA!!!! It was the light of my life, and some jerks picked it up and put it onto a truck. frame#3H1HFo31xxD400074,Scooter was stolin out of my backyard around 2002,it had 12,000 miles on it,the trunk was held on with rope and it hat scratches,≤ft mirror was missing. 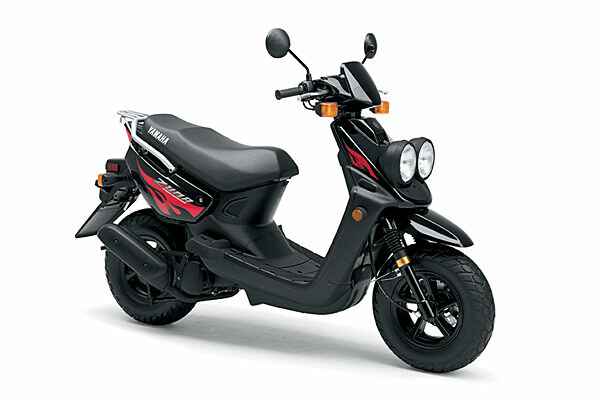 Went into dr's appt about 2pm, came out couple hrs later and scooter was gone. Filed police report but no luck yet. Has minor scratch damages. Have any been recovered using this site? Heres thinking of you kid. Stolen from my garage in Chicago. Two full face helmets. 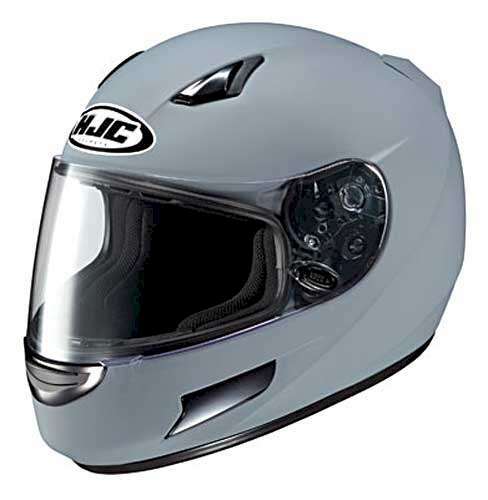 One HJC full face XL matte grey with black HJC wind powered light on top and black reflective tape in back. 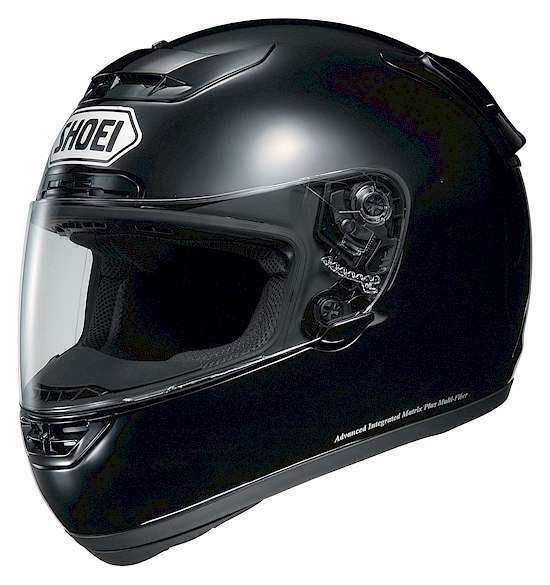 One Shoei full face M (?) black. engine # BA-3207161. Owner has all keys. 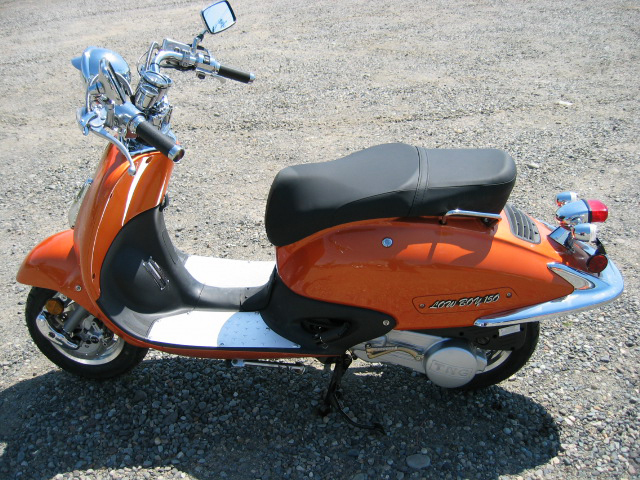 Scoot has a buddy seat on it. 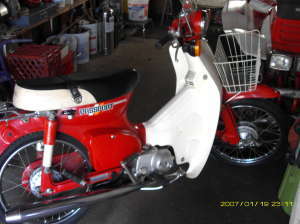 This is a very rare 1960 Galleto scooter. 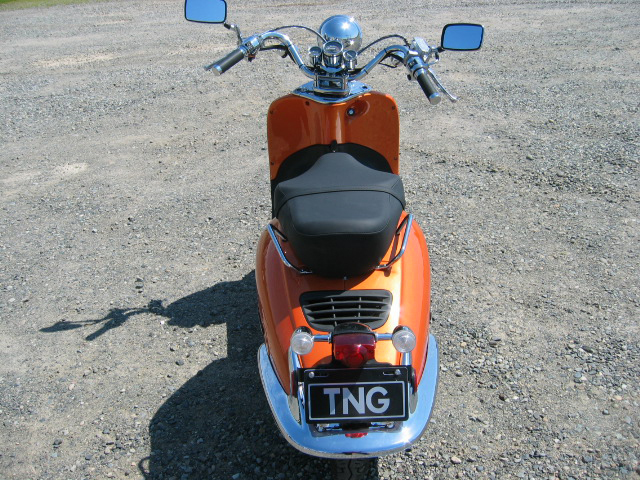 At the same time, an equally rare 1961 moto Guzzi side car was taken (it was not attached to the scoot). 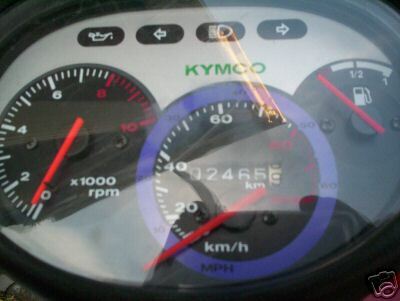 Bike has no Air Filter, It has a Malossi 210 kit and has the original roadside assistance numbers on the glovebox. This is a rare bike and should pop up somewhere in Portland. only one that i know of in this color in augusta. 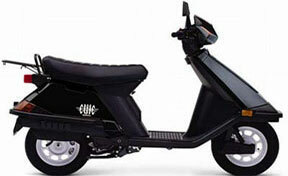 comes with saddlebags. left overnight in parking lot because I couldn't get it to start. Please return no questions asked. 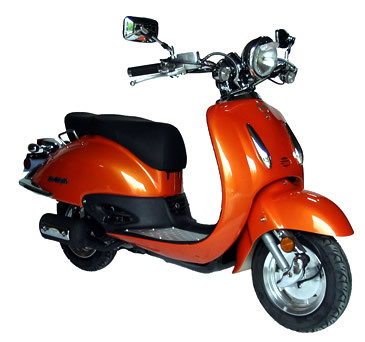 Scooter is beige with brown leather seat. Is missing one mirror. Picture is similar model.